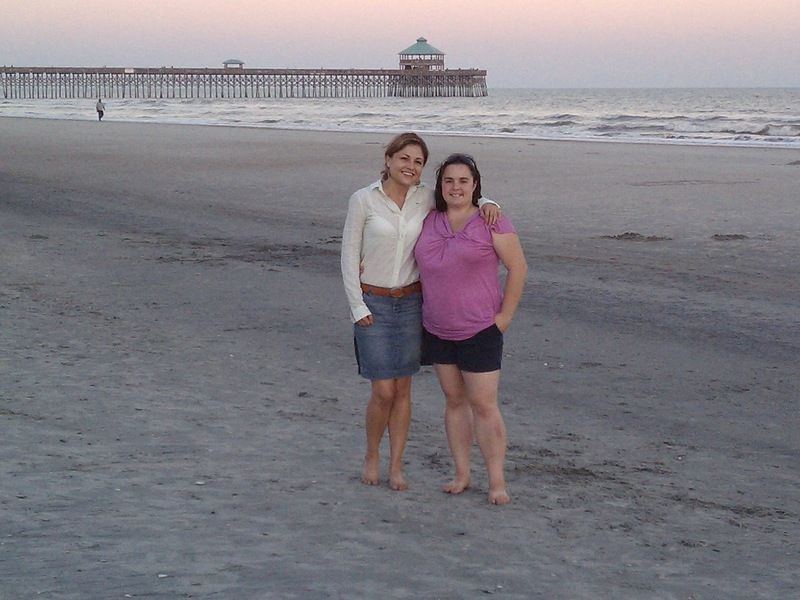 This weekend I took a road trip down to the beautiful Charleston, South Carolina to visit my good friend Cody! We had a great relaxing weekend of shopping and eating great food and I thought I'd share some of the highlights! I had off of work Friday so I left super early for the 8 hour drive to Charleston. Sound miserable? Well it is a long ride...but exactly halfway down I arrived at my favorite rest stop! I was so excited when I got to my favorite outlets! 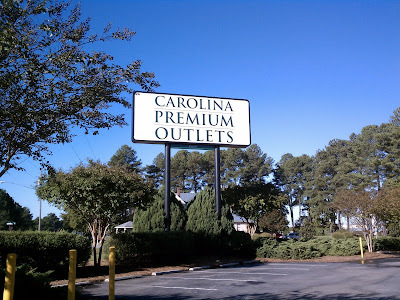 This outlet mall has an unbelievable amount of outlet stores including Gap, Banana Republic, New York & Company, and LOFT! (and Fossil and Nine West and....so on and on and on!) I LOVE this outlet mall. My wallet on the other hand doesn't love it so much. I left DC so early though...that I actually got to the outlets 40 minutes before they opened! At this point I wasn't sure what to do. I was anxious to make good time on the road, but I also knew Cody needed to get some work done at school and at this rate I was going to get there by early afternoon. I was also ready for some caffine and the car needed some gas so I decided to run those errands and wait the for the outlets to open. I did pretty well for myself shopping too! After a bit of shopping I got back on the road and managed to make it to Charleston by 3pm! Cody and I caught up for a bit and then she took me to Octoberfest at MUSC! 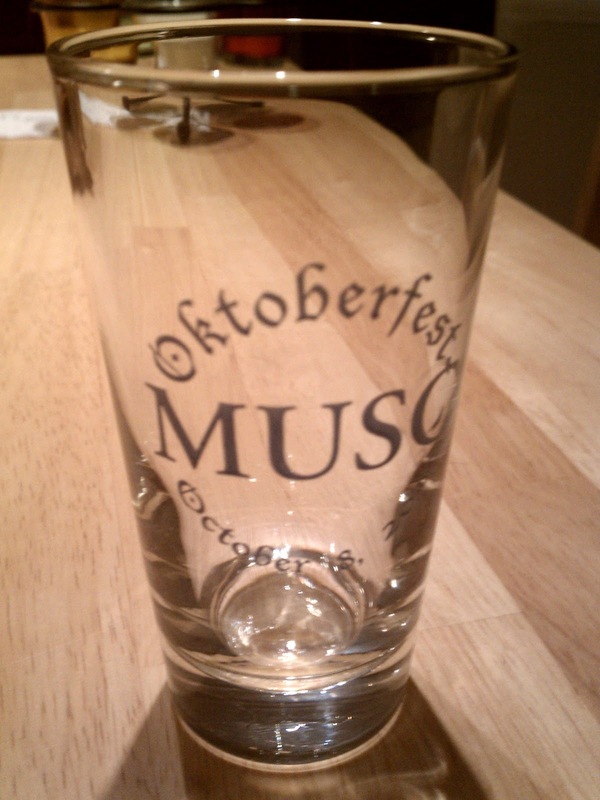 We listened to a live band, had some brats, burgers, and soft pretzels, and tasted all sorts of lagers in our cute souvenir tasting glasses! 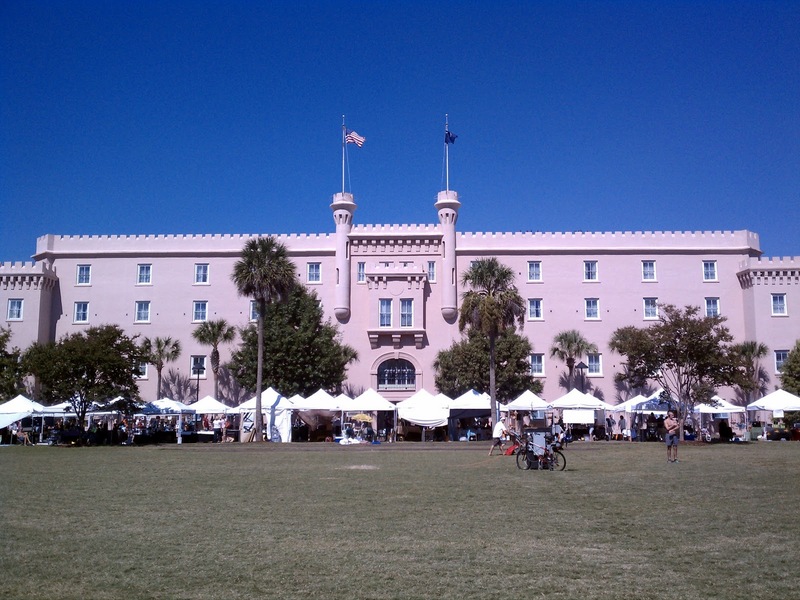 Saturday we went to the market on Marion Square. There were lots of people selling all sorts of food and goods (I love a good outdoor market)! 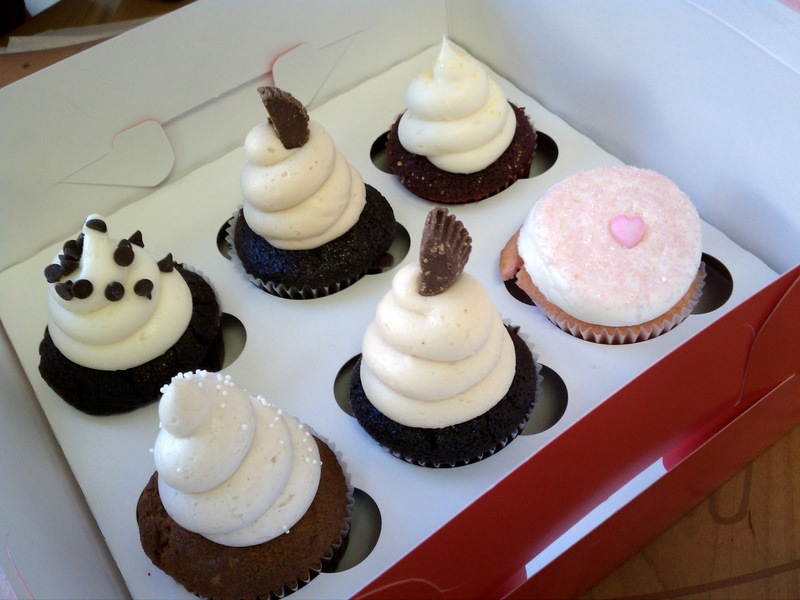 We had lunch from one of the market stalls and then we found the local cupcakery for dessert of course! 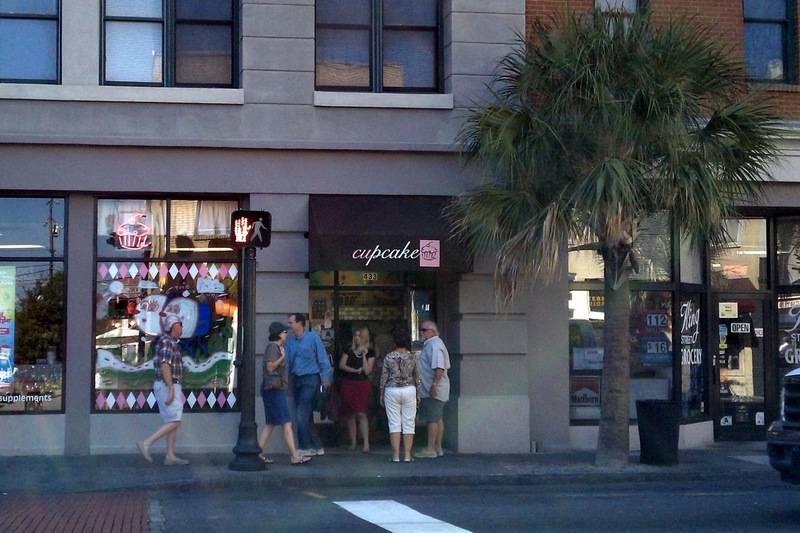 Yes those painted cupcakes in the window are supposed to look risque....October is Breast Cancer Awareness Month! 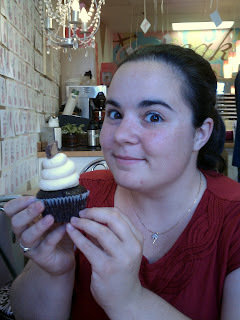 We each had a cupcake in the shop. Cody had the pumpkin cupcake and I had the chocolate peanut butter. We also made sure we had some for dessert for the rest of the weekend! We finished the day shopping at all the fancy and unique stores down King Street. We saw some of the most interesting shops. There was an accessory store where the walls were FULL of necklaces and earings but somehow managed to stay REALLY neat. There was also a chocolatier who made the most BEAUTIFUL chocolates. He painted them in a way that they didn't even look edible. He made a chocolate pumpkin to put little chocolates in....and even a chocolate high heel! It was crazy! (I'm sorry for the lack of pictures). 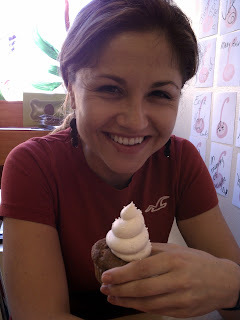 We had dinner at Basil, an excellent Thai food restaurant, and then rented a movie and (of course) had cupcakes for dessert! 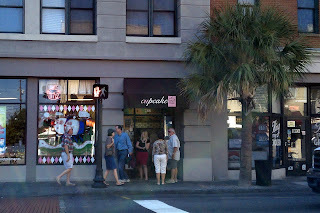 Sunday we had mimosas and southern brunch at Magnolias and then went shopping at the well known Charleston Market. I managed to find a pair of earings and necklace pendant that are perfect for fall. Cody also found some nice earings. 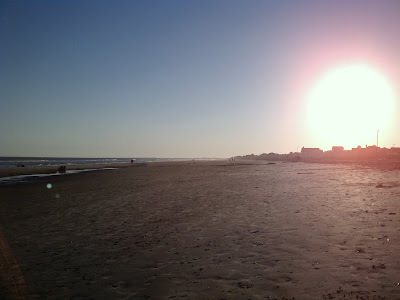 We stopped for ice cream (haha yes we ate a lot this weekend) and then went Folly Beach to relax and watch the sunset! We ended our last night with a movie, light dinner, and the last of our cupcakes for dessert :-). Monday morning I bid farewell to Cody and drove and drove and drove all the way back to DC :-/...but I did stop at the outlets again. I even found something I didn't find on my first stop! I will be wearing it at work tomorrow ;-). 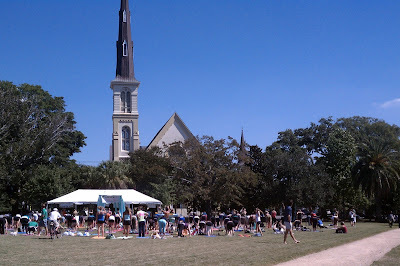 All in all I had a wonderful weekend getaway in Charleston. It was great to be able to relax and spend time with a good friend. It really got my mind off of anything crazy going on in DC! I didn't even get into what a beautiful city Charleston is! I think because I have been there a few times now it slips my mind to discuss. If you have never been to Charleston, SC, I cannot stress enough what a great place it is to visit. Its a city full of character and history. Great shopping, great food, and the most beautiful sites! It somehow manages to be busy and peaceful at the same time. Honestly it is one of my all time favorite cities and I would highly recommend visiting if you ever get the chance! Cody is so lucky to live there! And I'm lucky to have a person to go there to visit!!! exit 95 on 95! I love those outlets too. and yes, I second the if-you-ever-get-to-visit-charleston-do-it! (charleston wins over myrtle beach any day).